ALS is not contagious and although life expectancy of a person with Amyotrophic Laterals Sclerosis (ALS), also known as Lou Gehrig’s Disease, averages between two to five years after diagnosis. Up to 10 percent will survive more than ten years and five percent will live for 20 years. Approximately over 5,000 people in United States will be diagnosed with ALS every year. ALS occurs throughout the world with no racial, ethnic or socioeconomic boundaries’ and can affect anyone. There can be significant cost associated for medical care, equipment, and home health care giving for this disorder. It is important to become knowledgeable about your health plan coverage and programs for which you may be eligible. Recently, my love was succumbed to this neurodegenerative disorder and after being diagnosed, he lived several months thereafter. It is because of our experience with his illness and this disease that I wanted to be the voice that he left behind. “He fought a good fight and ALS finished his course”. It is my mission to assist with the fight by bringing awareness through advocacy for those living with Lou Gehrig’s disease and their families that they can live fuller lives by accessing the resources available to them. ALS is an incurable degenerative neurological disorder. The nerve cells of the brain and spinal cord, which control voluntary muscle movement, deteriorate – the muscles waste away leading to paralysis and eventually lead to death. In 1941, national attention was brought to the United States when a baseball player struggled with the disease called amyotrophic lateral sclerosis, or ALS, often called Lou Gehrig’s disease. Each year in the U.S., about 5,000 new cases are diagnosed each year. It is a rare disease and impact strikes those after the age of 40 and can affect more men than women. Lateral identifies the areas of the spinal cord where portions of the nerve cells that signals and control the muscles are located. As the area continues to degenerates, it can lead to both scarring and hardening (sclerosis) in the region. The progressive degeneration of the motor neurons in ALS can eventually lead to their demise. As the motor neurons die, the brain ability to initiate and control muscle movement is lost. 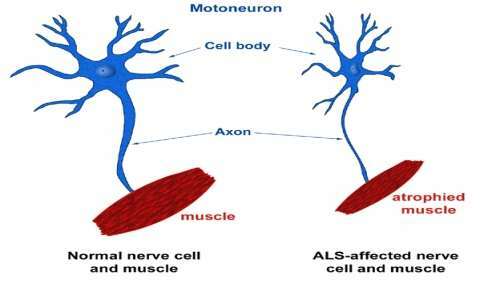 You may lose the ability to speak, eat, move and breathe, and with ALS, the motor nerves affected are the motor neurons that provide our voluntary movements and muscle control. Sporadic is the most common form of the ALS disease and it affects between 90 and 95 percent of all the cases. Familial (FAL) means that the disease can be inherited and in these families, there are 50% chance that the offspring can inherit the genetic mutation and can develop the disease, and Guamanian is a high incidence of the ALS disorder that is observed in Guam and Trust Territories of the Pacific in the 1950’s. ALS atrophy. Brain areas specifically affected in C9ORF72 cases (blue), in non-C9ORF72 cases (green), and all ALS cases (red). It has become clear that a number of defects can lead to motor neuron degeneration in ALS. In 2011, a researcher advance was made when scientists found that the defect in the C9orf72 gene is not only present in ALS patients but also in patients who suffer from a type of front temporal dementia (FTD). In searching for the cause of ALS scientists studies the role of environmental factors such as exposure to toxic or infections agents, as well as trauma or behavioral factors. Studies shows that during the 1991 war those deployed to the Gulf region were more likely to develop ALS compared to military personnel who were not in region. No cure has been found as of yet, but the Food & Drug Administration (FDA) in 1995 approved the first drug treatment called Riluzole. Riluzole reduces the damage to the motor neurons by decreasing the release of glutamate. The clinical trials of ALS patients have shown that the drug Riluzole has prolonged their survival by months, mainly in the area of those who has difficulty in swallowing. Riluzole have extended the time before an individual has needed ventilation support. The drug has not reversed the damage done to motor neurons, and they must be monitored for damage to their lives and other side effects. However, this disease-specific therapy has offered hope that the progression of ALS maybe slowed with new medications of drugs. 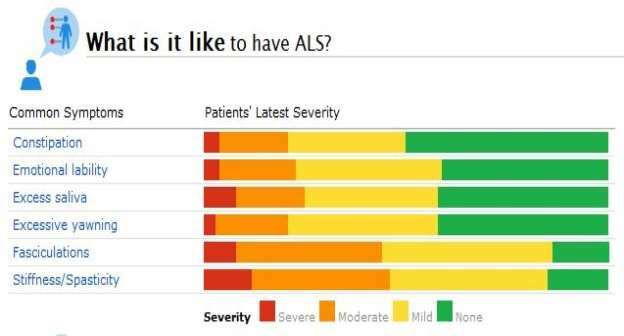 Other treatments for patients with ALS to improve the quality of life is best provided by a team of healthcare professionals such as physicians; pharmacists; physical, occupational, and speech therapists; social workers, home care, and hospice nurses. A physician prescribes the medication to ease fatigue while controlling spasticity, pharmacists monitor’s medication to avoid the risks of drug interactions. Physical therapy enhances their independence and help patients with their range of motion. The team of health professionals teaches ALS patients with the ability to help them speak louder and clearly. Nutritional support by a nutritionists helps them how to plan and prepare small meals that supply enough calories, fiber and how to avoid foods difficult to swallow. Intermittent positive pressure ventilation [IPPV] or bi-level positive airway pressure [BIPAP] is used to aid breathing during sleeping. The devices inflate their lungs from external sources when their muscles are no longer able to maintain normal oxygen and carbon dioxide levels the devices maybe used full time. The severity of ALS, the lack of effective treatments, and the progress in ALS research helps identify targets making it more tractable to develop therapies for ALS. ALS is linked to other neurodegenerative diseases like Alzheimer’s and Parkinson. The ALS Association offers grants and awards to private industries and scientists to accelerate the developments of treatments and a cure for ALS disease. The Association administers, The Milton Safenowitz Post-Doctoral Fellowship for ALS Research, the only post-doctoral fellowship for ALS research, and the ALS Association’s Sheila Essay Award recognizes premier achievement in research of ALS disorders. ALS Association holds workshops each year, which brings together scientist researching ALS and other neurodegenerative diseases. All of the Association staff holds leadership positions on a national and international organization to assist with unlocking the mysteries of Amyotrophic Laterals Sclerosis (ALS). Public efforts in Washington, D.C. has raised the profile of ALS in the White House, members of Congress, federal agencies, Centers for Medicare & Medicaid (CMS), and including the National Institutes of Health. One of the signature accomplishments of the Public Policy Department is by eliminating the 24 months waiting period for those disabled with ALS and had to wait before they could begin receiving Medicare benefits. ALS is one of two diseases where the waiting period does not apply, and the waiver for ALS is the only change Congress made to the waiting period since it first began. Through public outreach, social media and the internet, The Association will continually raise awareness about ALS and the search for a cure. Koroshetz, W. (June 2013). Amyotrophic Lateral Sclerosis (ALS) Fact Sheet. 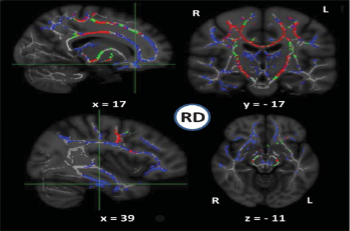 Image courtesy of Bede P. Bokde A.L., Byrne S. Elamin M. McLaughlin R.L., Kenna K. Fagan A.J., Pender N. Bradley D.G., Hardiman O. Multiparametric MRI study of ALS stratified for the C9orf72 genotype. Neurology. 81 (published online ahead of print) p.4. "Causes and Treatments of ALS." UKEssays.com. 11 2018. All Answers Ltd. 04 2019 <https://www.ukessays.com/essays/medical/what-is-als.php?vref=1>. "Causes and Treatments of ALS." All Answers Ltd. ukessays.com, November 2018. Web. 25 April 2019. <https://www.ukessays.com/essays/medical/what-is-als.php?vref=1>. UKEssays. November 2018. Causes and Treatments of ALS. [online]. Available from: https://www.ukessays.com/essays/medical/what-is-als.php?vref=1 [Accessed 25 April 2019]. UKEssays. Causes and Treatments of ALS [Internet]. November 2018. [Accessed 25 April 2019]; Available from: https://www.ukessays.com/essays/medical/what-is-als.php?vref=1.